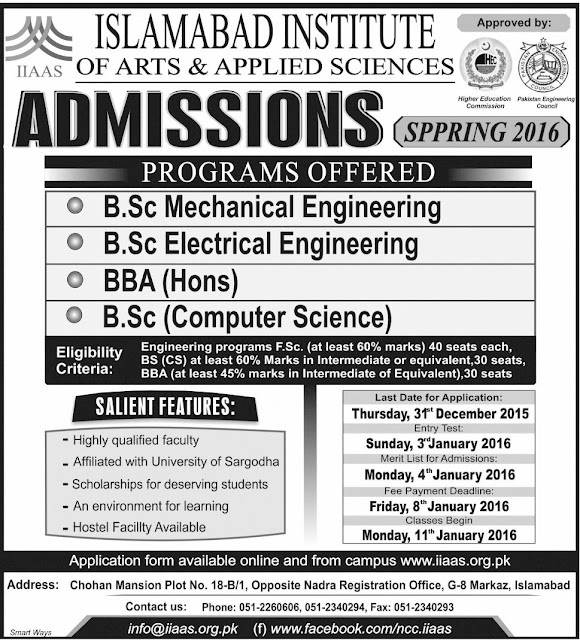 Islamabad Institute of Arts and Applied Sciences Admission open Spring 2016 programs offered B.sc Mechanical Engineering ,B.sc electrical Engineering, BBA (Hons), B.sc(Computer science). Item Reviewed: Islamabad Institute of Arts and Applied Sciences Admission 2016 B.Sc BBA 9 out of 10 based on 10 ratings. 9 user reviews.